The FAG Control 525-MRS was a very late and high technisized letterpress proofpress that was perfect for very exact multi-coloured proofs. 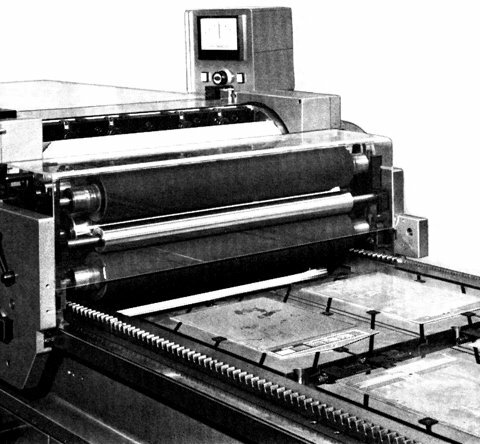 The MRS update was the newest update for Drupa 1972 for the Control model line. With the MRS model, FAG created a very high class press as a contrast to the two new Models Swiss Proof 40 and Swiss Proof 52, also presented at Drupa 1972. FAG Control 525 MRS from a Chinese Catalog form 1972. FAG Control 525-MRS equipped with a vacuum base PLA/VAK. From a Russian advertisement from 1972. Detail of the FAG Densicolor DC and the massive ink distribution system on the FAG Control 525MRS, consisting of 2 extra riders. From a Swiss Catalog from 1972. 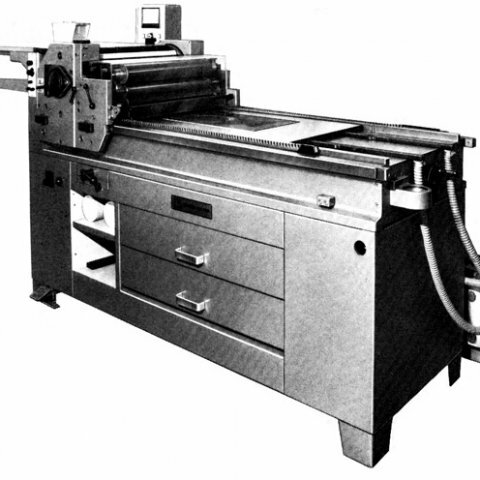 This press has been the latest development of the FAG Control 525 for Drupa 1972. 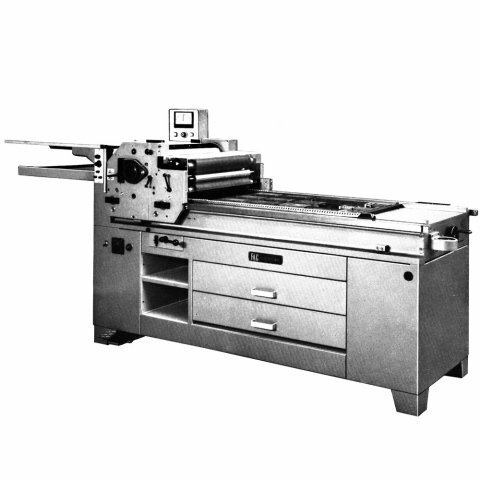 The new inking system "S" with two extra rollers for complete regularity of ink transfer from rollers to printing plates over the full length of proof could be equipped with the FAG Densicolor, an electronic measuring device for the thickness of ink films. In this combination, the inking system would deliver a very constant and exact inking of the form/plate. *Download files are free for all registered users. Unregistered users please register here or request the needed file via email.